Love is a Beach! 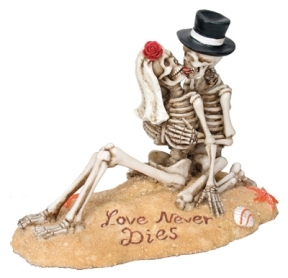 Here's our favorite skeleton couple embracing on the beach. This cold cast resin piece is hand painted and is 5.5 inches long and 4.25 inches high.